Amazing Apartment Communities in the DFW metroplex, Austin, San Antonio, San Angelo, College Station, San Marcos, Waco, El Paso, as well as Des Moines, Urbandale, and Coralville in Iowa! Let us help you find your the perfect apartment home! Kanye West is one step closer to bringing his brand of stark, minimalist living to the masses! After last month’s announcement about his plans to "make the world a better place" by creating Yeezy Home—an architecture arm of his Yeezy brand, which includes fashion and footwear—we’ve been waiting on bated breath to see what the heck a Kanye West–designed house looks like. It didn't seem too off base to assume the aesthetic would be similar to the notably spare interior of his Los Angeles home that he tweeted never-before-seen pictures of in late April. Or perhaps West's architectural leanings would be more in line with Yeezy headquarters, designed by the rapper's longtime collaborator Willo Perron, who summed up his own influences in Pin-Up magazine: "brutalism, essentialism, utilitarianism, and Postmodernism." Still, though: This star thrives on his ability to shock the public, so we didn’t want to make any assumptions about Yeezy Home until we had some hard evidence. That evidence came on Sunday, in the form of photos of Yeezy Home's first project: low-income housing. Renderings of the interior and exterior of a home were revealed on Instagram by one of West's collaborators, Jalil Peraza. According to the two photos he posted, the houses will be made of prefabricated concrete and expanded polystyrene components, a type of inexpensive resin plastic. Although West thrives on being a pioneer, concrete architecture is hardly new. The neobrutalist look, which peaked in popularity from the 1950s to the mid-1970s, is seeing a resurgence lately. "From Australia to Paris, concrete panels are showcased in every shelter magazine, online loft, and industrial-chic space across Instagram," says interior designer Ana Cummings, of Ana Interiors, in Alberta, Canada. 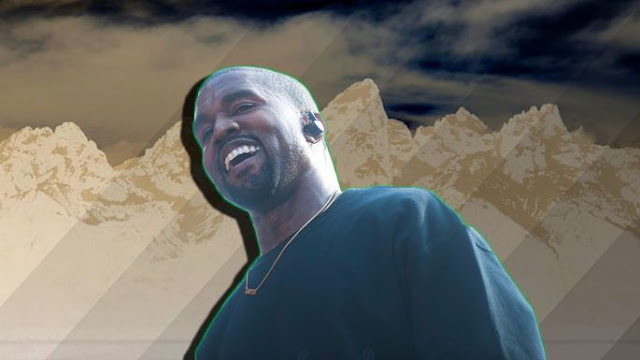 "Kanye might not be reinventing the wheel here; however, he may be trying to claim a cog as his own." Some see the value—and appeal—of prefabricated concrete dwellings. "I actually quite like this aesthetic," Cummings says. "It is completely devoid of stimuli, something we are bombarded with day in and day out." "I personally love it," says Dolly Lenz, a real estate agent who works with high-end properties. "Concrete is inexpensive and easier to maintain. Very fancy development properties are using these finishes in rec rooms for this reason." Stepping away from the trendiness of concrete architecture, perhaps the greatest benefit of prefab concrete homes—and the reason why Yeezy Home chose the material for its first project—is that it's sturdy, inexpensive, and easy to replicate. "Recognizing the absolute need for affordable housing across the nation, Mr. West is developing a design concept that can be translated into various communities," says Lauren Visco, an interior designer in Chicago. Cement panels are easy to fabricate and can be cast into any desired shape. Prefab cement homes are also ideal for areas that face threats of natural disasters. "It would really make sense to use precast concrete in hurricane- and tornado-prone or postdisaster areas," says Bob Whitmore, vice president of communications for the National Precast Concrete Association, in the Indianapolis area. Prefab concrete is an ideal building material for homes in these areas because it's strong and can be used to erect homes quickly, he explains. Cummings says she designed an outdoor space for a client in St. Maarten using rebar and concrete, and when Hurricane Irma hit, the structure remained completely intact. "He should come with me to the Caribbean and see firsthand what a hurricane can do. Even nine months later, almost every home has a blue tarp covering a spot on their roof ... and that’s if they even have a roof," says Cummings. "What stood up, though? Reinforced concrete. Even though this new aesthetic is so austere, there really is something quite lovely about [West's] home and the idea of using concrete panels to save the world." Eating Lionfish is a Great Way to Combat Their Overpopulation of the Caribbean Sea. + 3 Other Invasive Species We Should Give a Try! 1. Make Your Own Headboard 2. DIY Rug NellieBellie.com 3. Floor Pillows! Looking For An Apartment For The Fall? Check Our Availability Here! *My Apartment Home. 2013. Simple theme. Powered by Blogger.